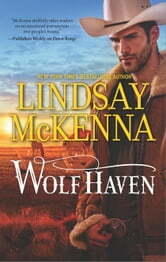 "Talented McKenna delivers excitement and romance in equal measure." Former SEAL Grayson McCoy has his own demons. But something about Elk Horn's lovely-yet-damaged new nurse breaks something loose. Compassion-and passion. And even as Gray works with Sky to piece her confidence back together, something deeper and more tender begins to unfurl between them. Something that could bring her back to life.